Getting to the point, most generations will tell you similar tales of comics they had stuffed in their school satchels or unceremoniously rolled up in their back pockets, ready for a surreptitious read during double maths. The Phoenix Comic is that comic for Charlotte - "her" comic if you like, and though she's younger than I was when I first really got my teeth into comics big time, she soaks up the weekly tales from the new champion of britcomics with vigour. Not shying away from a plot that feels almost hard-fi in its approach, Robert pens an intricate tale spanning the galaxy and time itself, as the story switches between Troy's present, future and past. Our would-be intergalactic Indiana Jones must travel back in time to undo a terrifying incident that unwittingly created the greatest threat to the liberty of the galaxy, the rise of The Horde Queen. 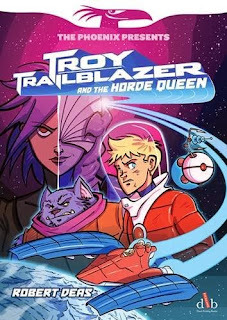 As regular fans of Troy Trailblazer will tell you, the story unfolds at an absolutely cracking pace as we slowly discover what happened, and more importantly who the evil Horde Queen actually is (genuine gasps from Charlotte as the twist unfolds and confirms her guesses). Reading about Robert's inspirations (cool stuff from when we were kids like Ulysses-31 and Thundercats, and other groovy Filmation animated series) it's fantastic to see a story that reads as good as it looks. Robert's artwork is utterly glorious, and in the collected book edition it's great to see awesome diagrams of Troy's ship as well as character info gathered together to set the scene for newbies to the stories. "Troy Trailblazer and the Horde Queen" hits shelves on 4th June 2015. Charlotte's best bit: The slow burn of the story before the big plot twist and surprise is revealed. Whoah! Daddy's Favourite bit: Sci fi gloriousness that doesn't talk down to its audience, but sets up a thrilling and intricate plot with glorious visuals to match. Definitely our sort of comic strip! Can you describe hedgehogs as cuddly? 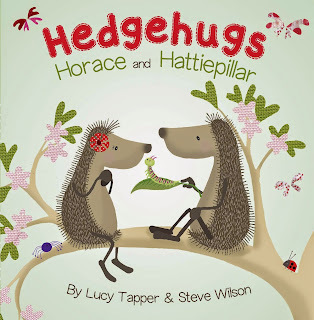 Horace and Hattie the "Hedgehugs" are definitely our two fave spiny little creatures and they're back for a second outing in "Horace and Hattiepillar". 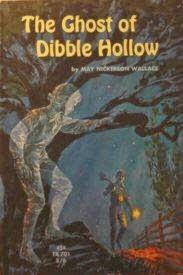 This time, Horace and Hattie find a curious little creature inching its way across the ground. The little caterpillar seems to love leaves so Horace and Hattie feed their new friend, and watch with delight as he gets bigger, and bigger, and BIGGER! The caterpillar soon gets so big he can barely move, so attaches himself to a leaf to begin the next part of his lifecycle, much to the fascination of H & H who rather love the idea of doing this themselves. Soon the caterpillar becomes a beautiful butterfly! Can hedgehugs fly? They can try! A delightful and whimsical tale from Lucy and Steve, following the life cycle of a caterpillar through to a butterfly. Charlotte's best bit: Horace and Hattie 'cocooning' themselves! Socks! Dads hate them because they're usually the fall-back present whenever birthdays, christmas or Fathers Day (which is coming up soon, hint hint!) come around. But there is nothing quite like snuggling into a pair of lovely hand-knitted socks. A young lamb's granny is a sock-meister extraordinaire and loves to share her warm cuddly creations with the rest of the animals on the farm. Our young hero decides that he'll help poor creaky granny out by distributing the socks to all the animals - but CALAMITIES! A missed footing, a heck of a trip and those socks and their carefully scribbled labels are scattered all over the place, and sorting out those mis-matched socks won't be easy. Perhaps the little woolly fellah can get some help? A fun little tale of friendship, helping out and warm woollens. Even though it's sunny outside there's still a bit of a nip in the air, so don your comfy snuggly socks and settle down for a read! 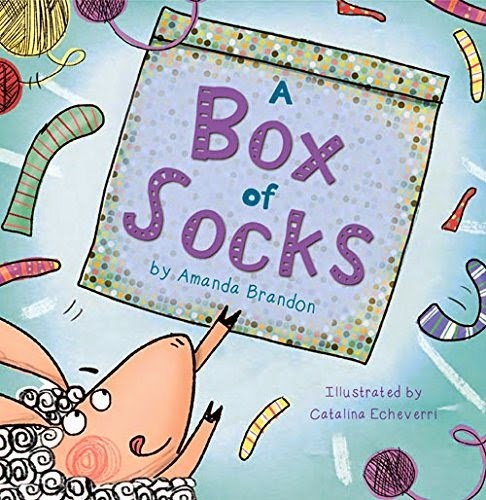 "A Box of Socks" by Amanda Brandon and Catalina Echeverri is out tomorrow, 28th May 2015 from Maverick Publishing. Charlotte's best bit: When all the animals end up with the wrong socks! Eeeks! Daddy's Favourite bit: A fun and entertaining adventure that really socks it to you! I am so, so, sorry! "The (In)Complete Book of Dragons (How to Train your Dragon Series) by Cressida Cowell (Hodder Children's Books). Dazzlingly brilliant!" "So remind me again, why do you love Dragons so much, Charlotte?" "Because they're magical, and can fly and if you annoy them they can burn you to a crisp!" We've been talking about running a few special features on the blog, similar to the weekly themes we ran when we did a year long campaign encouraging parents to read to their children more (ReadItMummiesandDaddies). Dragons have never been very far from our bookshelves in one form or another. 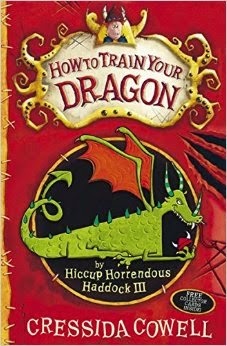 Now Charlotte's old enough to enjoy Cressida Cowell's phenomenally brilliant "How to Train your Dragon" she's busily tucking into Book 1, and learning all about The Isle of Berk, Hiccup Horrendous Haddock the fearless dragon chronicler and of course his trusty friend Toothless the not-quite-scary-but-could-give-you-a-nasty-nip teeny tiny baby dragon that Hiccup saves rather than slays. Cressida's books are now huge movie hits too, but we truly love the original stories and what's more, we REALLY love Cressida's original illustrations - particularly in "The (In)complete Book of Dragons" where all of dragonkind's secrets are laid bare for would-be dragon hunters and trainers the world over. 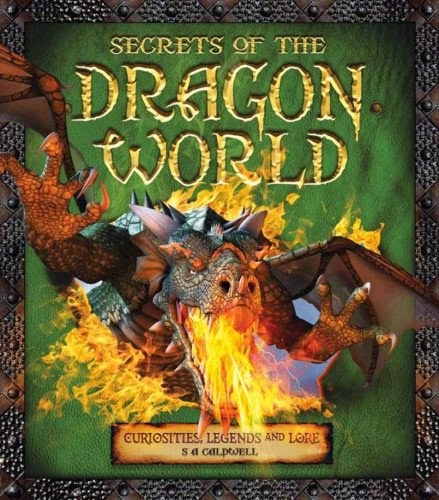 As you can see from the dragon leaping out of the front cover, S.A. Caldwell's "Secrets of the Dragon World - Curiosities, Legend and Lore" from Carlton Books is a real feast for the eyes. All aspects of the dragon world are put under the microscope, fully immersing you in dragon lore and examining dozens of different species of dragons, their taxonomy, physiology and characteristics. Mixing together fantastic digital illustrations with beautiful pencil sketches and stunning renders, "Secrets of the Dragon World" is utterly amazing. We particularly loved seeing all the different dragon eggs and the dazzling colours and designs on them. A book to sprawl out on the floor with and really dig into. 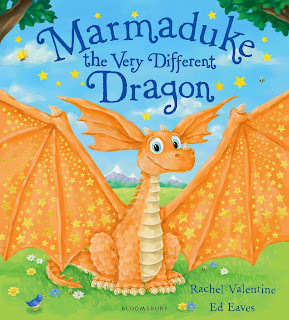 "Marmaduke the Very Different Dragon" by Rachel Valentine, with fantastic illustrations by Ed Eaves, really is the tale of a very unique little fellow. 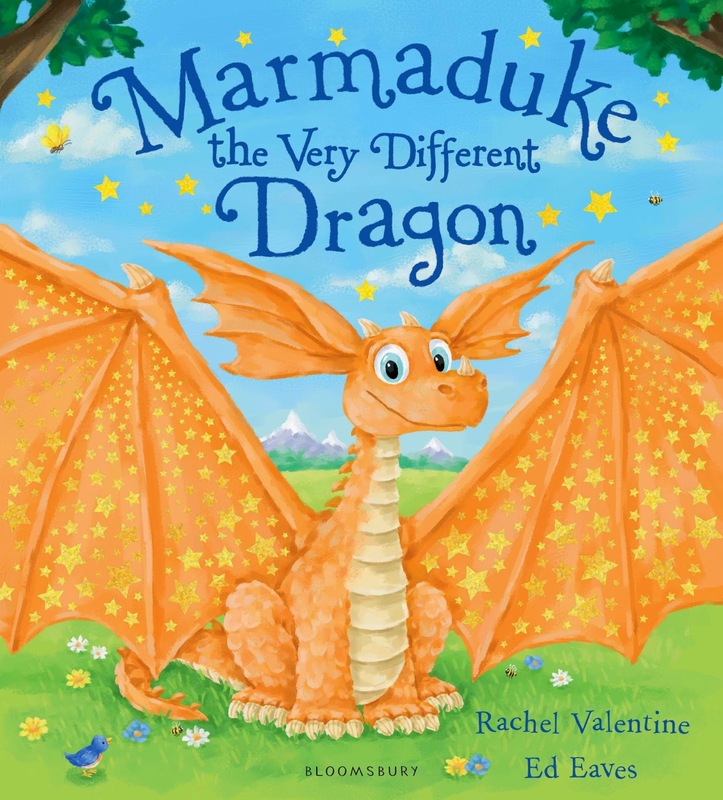 Marmaduke was born different to his brothers and sisters - where they're all scaly and loud, Marmaduke has big ears and sparkling orange skin - and despite having a huge pair of wings Marmaduke seems reluctant to try them out, to fly like his siblings. Poor Marmaduke is quite forlorn, but when he meets a very different princess, perhaps the two can become firm friends and perhaps Marmaduke's 'differences' can be the making of them both. We really love Marmaduke and we really really love Meg, the princess who prefers baseball boots and messy hair to prim and proper dresses. "Dragon loves Penguin" by Debi Gliori (Bloomsbury Publishing). Have tissues ready, this will make you cry! 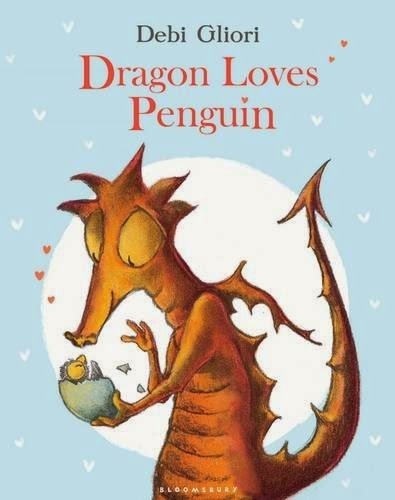 In "Dragon Loves Penguin' by Debi Gliori, a mother dragon adopts an abandoned egg. When it hatches, the "baby dragon" inside really does look quite...strange. Flippers, a beak, slick feathers - in fact the baby dragon looks an awful lot like a penguin. As a bedtime story unfolds, we learn how a mother's love is strong enough to look beyond the differences, and is offered unconditionally. 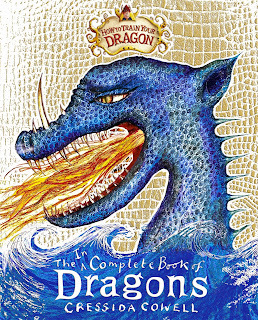 With tense excitement, and a tear-jerking end, this is such a brilliant and original dragon (and penguin) book that we really couldn't miss it off our list. "The Secret Rescuers - The Storm Dragon" by Paula Harrison, illustrated by Sophy Williams (Nosy Crow) - "Her best book yet!" said a young reviewer - and we definitely can't argue with that! 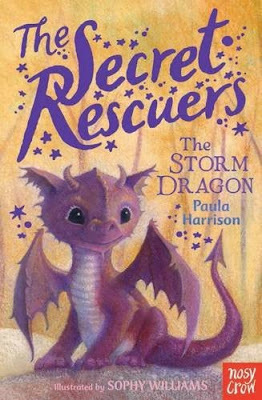 "The Secret Rescuers - The Storm Dragon" (The Secret Rescuers Book 1) by Paula Harrison, with illustrations by Sophy Williams, is the very first book in a new and exciting mythical magical series from the creator of the awesome "Rescue Princesses" series. Paula's books have helped Charlotte make the transition between picture books and early chapter readers, with a combination of fantastic characters, exciting stories and an all important dose of magic and mystery. Though we may seem slightly biased about this one (after all, Paula very kindly dedicated this book to Charlotte - which really completely blew our socks off with excitement - I think Charlotte ran around the house squealing with glee for a solid hour or more), we think it is her best book yet and it's really captured Charlotte's imagination (and is quite a large part of why we chose dragons as our first special feature review roundup). 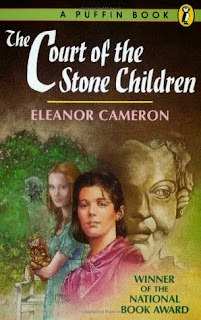 "The Storm Dragon" is the story of a young girl, Sophie, who is a maid at a palace in a magical kingdom. One day a small dragon literally crashes in on Sophie's world, and changes everything forever. 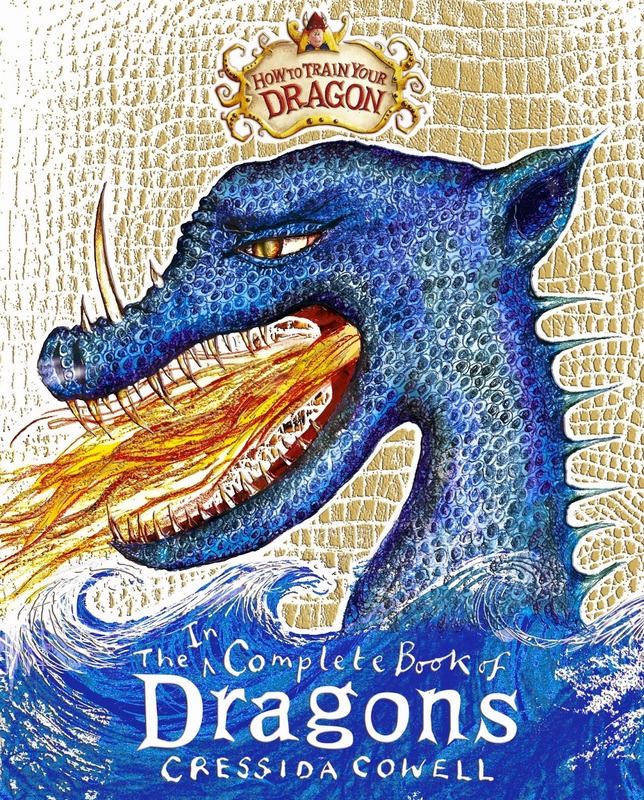 Sophie discovers that not only can she communicate with and understand the dragon, but must undertake a perilous quest to return the shy beast to its family and save the all the mythical creatures in the land from the nefarious bad egg Sir Fitzroy. Sophie will meet new friends and foes on her journey but book one is just the start of her amazing adventures (Book 2 will be coming along in October so keep an eye out for "The Sky Unicorn" in the Autumn). You've got to love any book that is so good that your little readers won't turn out their reading lamps until they've reached the end of each chapter. A great book to wrap up our first special feature, and if you have any suggestions of subjects or story types you'd like us to feature next, we're all (dragon) ears! ROAR! Hungry for more? You can find all our reviews featuring dragons and other demons here! We're fortunate enough to have been given the opportunity to check out Giles Paley-Phillip's new book and the man himself stopped by the blog for a quick questions and answers session with us here at ReadItDaddy. Kicking off with three questions from me, and three questions from "The Boss" herself, Charlotte. Take it away Giles...! bit about yourself, and your new book "Little Bell and the Moon"
Hey ReadItDaddy, I spent a number of years touring and playing in bands, I started writing after my first son was born and haven't stopped since. My new book is called Little Bell and the Moon, it's the story of a lonely little girl, who loves the moon and in a flight of fancy she flies off with the moon to see all the wondrous things in the world. Their journeys go on for many years until she is very elderly and can't travel anymore, eventually the little girl who is now very old, passes away and something very magical happens to her. little bit about your influences, favourite authors and illustrators. Thank you that's lovely to hear. My biggest influences have been several American writers, in particular Shel Silverstein and Edward Gorey, I love Gorey's dark humour, something I've always try to have in my previous books. Little Bell and the Moon is very different in tone from anything I've done before I was reading a lot of adult poetry at the time and especially Sharon Old's 'The Father' which I found very inspiring. 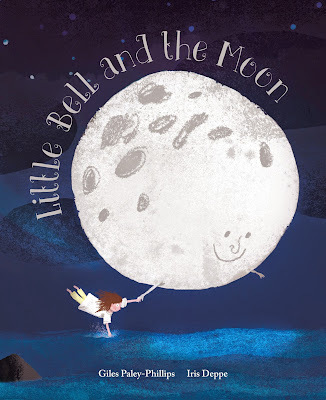 I have to say the illustrator Iris Deppe deserves enormous credit for her work on Little Bell and the Moon, they are simply wonderful and I couldn't be more thrilled with them. Yes they can be, but it is really helpful to know what things do and don't work. 1) I love "The Fearsome Beastie" - Does it ever frighten people? He is a bit mean! 2) Are you going to write any more monster books? 3) What's your favourite book at the moment? Well, my favourite children's book is The Box of Delights by John Maresfield and I'm also currently reading The Human Flies by Hans Olav Lahlum, which is a traditional whodunnit set in Sweden. Phew! Thanks for whistling by to talk to us Giles. We wish you huge success with "Little Bell and the Moon", out now from Fat Fox Publishing. Find out more about the book on the Fat Fox Website. 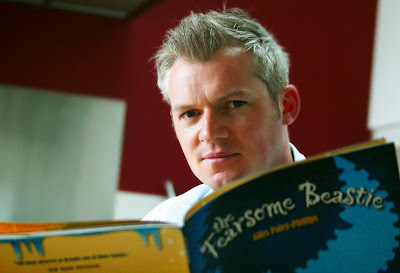 We've followed the career of Giles Paley-Phillips for quite some time now, and have loved his rhyming stories. 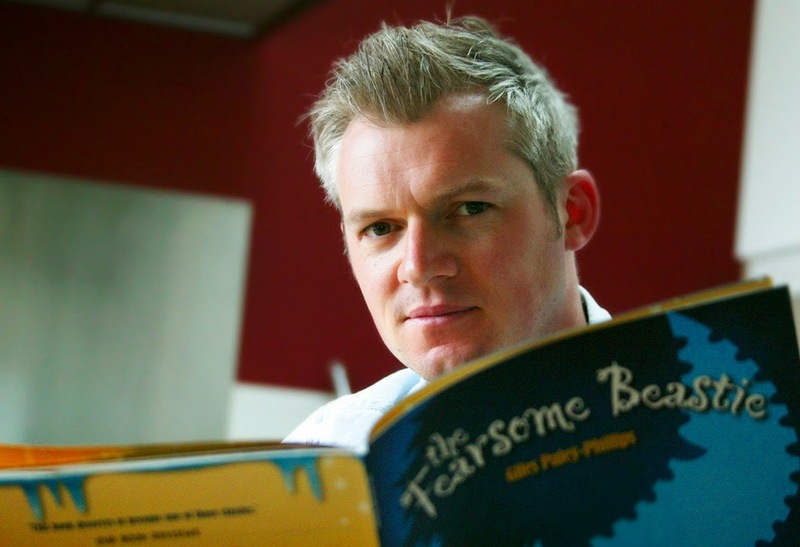 From the gruesome but endlessly gleeful and satisfying "Fearsome Beastie" to Giles' latest story. This time Giles weaves a tale with an almost mournful melancholy air, that begins with Little Bell - a tiny tot who is lucky enough to take nightly trips hand in hand with her friend the moon. They journey far and wide, her hand in his, as they soar into the air and cruise above the mountains and deserts, jungles and seas, with always something new to see and experience. Little Bell's journeys fill her life with richness and imagination, and the moon adores her. As the story unfolds, Little Bell moves through all the stages of her life, becoming a teen, then an adult (at this point Charlotte excitedly pointed out that in one of Iris' illustrations, Bell looks like she's having a baby as the story shows her at various ages). Finally as Bell becomes old and frail, the moon realises that soon their journeys together will be at an end. As he sings one last lyrical lullaby to her, and rests her gently down for her final long sleep, the moon is grief-stricken but must say goodbye. Ah, you see, here's the bit where we rather meanly tell you we're not going to give away what happens next. For in darkness and despair, there's always hope and so we'll leave it up to you to discover Giles and Iris' fabulous touching and heartfelt story for yourselves. It's truly something rather special. This is dreamy stuff, absolutely perfect as a lyrical story lullaby before you tuck your own kids into bed for the night. Giles' rhymes are nicely written, Iris' artwork is utterly delectable and it's a story that will work wonderfully for the very tiniest of tinies, right up to older children who might be too cool to sit on your lap for story time but will still love hearing this one read out loud. Stay tuned here on the blog for a Q & A session with Giles himself! "Little Bell and the Moon" by Giles Paley-Phillips and Iris Deppe is now available from Fat Fox Books. Daddy's Favourite bit: A delicate multi-layered story that is dreamy, melancholy and joyful. A perfect bed-time read! We are SO GLAD that Kitty Crowther's incredible stories are finally being translated into English. 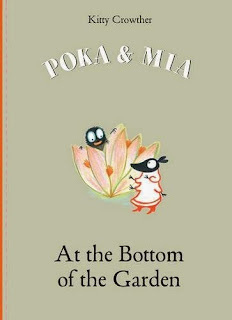 We're new to "Poka and Mia", two endearing insects that are the stars of a whole series of children's stories by Kitty but now we've met them we really can't wait to read the rest of their tales. Kitty's book "La Visite De Petit Mort" was a book I bought a while ago after spotting the amazing cover, and relishing the fact that it's got a dark twist or two to it, but is essentially a really positive and joyful story once you start to read it. In "Poka and Mia at the Bottom of the Garden" Mia is playing in the garden and feels sure she's being watched. A mysterious pair of eyes glares at her from the bushes, and so she swiftly scuttles inside. Poka tries to encourage Mia to come out to the shops but Mia doesn't want to leave the house. Things get decidedly worse at night as Mia spots a tiny little light glowing at the bottom of the garden. Who IS the mysterious stranger who has moved in? We were instantly hooked by this story, not least of all because of Kitty's aforementioned gift of setting up a story with a fairly 'dark' beginning, but turning things around mid-flow until you're positively cheering at the outcome. 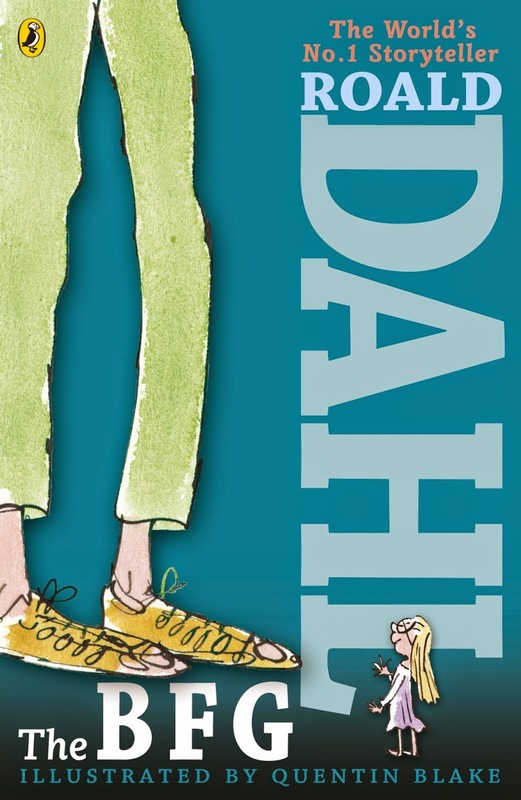 Charlotte once described her love of stories that "have something exciting to keep you reading" and she was rooted to the spot while we read this wonderful tale. Kitty's illustrations are glorious (and we love in particular her brilliant gift of imbuing her characters with the most fantastic expressions). 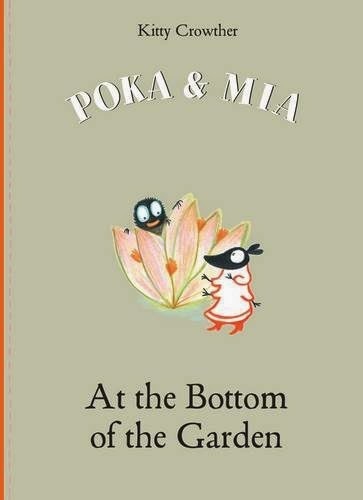 We'll be taking a further look at Poka and Mia stories very soon on the blog so watch out for more. In the meantime, if you're new to Kitty's work, these translated versions are a fantastic place to start - and we truly can't wait to see if the rest of Kitty's work drifts over the English Channel into our eager and waiting hands. Charlotte's best bit: Poor Mia taken prisoner! EEP! How can she possibly escape? Daddy's Favourite bit: This story is a real wow - It's got the lot, from a darkly tinged and slightly unnerving beginning to a shout-and-cheer-out-loud wonderful friendship and ending. Utterly BRILLIANT! 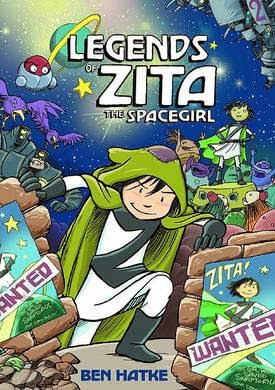 "Zita the Spacegirl" - Ben Hatke's fantastic sci fi romp is a rare bird indeed...! The whole of geekdom got all in a tizzy this week as one of its most beloved Geeks, Mr Simon Pegg, seemed to roundly stick the boot into the very genre that provides him with a comfortable living through various involvements with Star Trek and Beyond. You can read his retraction (which had a whiff of "Oh DANG, I'm in danger of persecuting the very folk who provide me with that livelihood" here). Warning, it's very sweary and not for the eyes of children. Read it like you're reading about a man backpedalling furiously to avoid falling into a deep crevasse. As much as "The Peggster" has some valid points to make about huge corporations cashing in on our love of extending our childhoods well into adulthood (which isn't really a new thing, it just feels like it as geek culture wholeheartedly embraces "the pursuit of things" for people with disposable income and not much to spend it on other than the pursuit of things they perhaps couldn't afford as kids), he has made a slightly odd statement along the lines of science fiction being 'childish' that really didn't ring true. If you discount Star Wars, Marvel, DC and Star Trek, kids are sold a pretty raw deal when it comes to science fiction. Proper science fiction that is, not action-led space operas that endlessly churn out the same trite storylines, space battles and good vs evil tropes. Proper science fiction, in fact, that makes you want to get into science, to make real the things you've read about depicted as fantasy. Stories, in short, that inspire children to look to the future to see what they can do about it and how they can be a huge part of it. 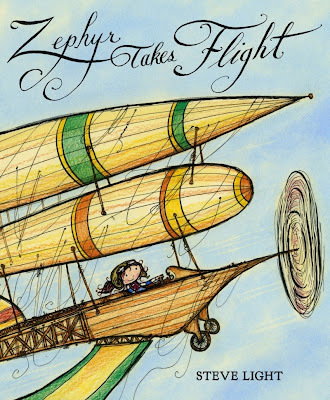 We kicked off this article with a fantastic cover image from "Zita the Spacegirl" by Ben Hatke. Ben's fantastic action hero shows that you can write engaging, deep and brilliant science fiction for children (and hey, it's durned good stuff for adults too) - but why are books like Ben's not more commonplace for children? And why does it always seem that, until you hit the rich heady YA genre that is very sci-fi heavy, there's very little to pick and choose from when it comes to sci fi stories that don't arrive in comic or graphic novel form for the 3-8 year old age group. Is it that science fiction has become synonymous with big branded franchise stories more or less taking over from clever and original stories and characters, as "The Peggster" describes? Now that would make a worthy rant! Personally, being initiated into geekdom at a very early age by two sci-fi loving uncles who introduced me to Star Trek, Doctor Who, Star Wars (all of which are still hugely popular with kids today) but who didn't stop there, letting me read the likes of Robert A. Heinlein, Isaac Asimov, Arthur C. Clarke and Michael Moorcock (probably wholly unsuitable reading for an 8 year old, to be fair), I quickly grew to realise that there was a lot more to science fiction than just making up stories about robots, spaceships and space damsels in distress. Clarke's highly knowledgeable and 'technical' approach to Science Fiction was attractive for so many reasons. It all felt possible, believable. It all felt as if Clarke was writing about a future that was tomorrow rather than aeons from now. Other authors chose to enhance my appreciation of science fiction by describing the most alien and surreal future imaginable. In Asimov's case, his characters imbued the important lesson that even despite humankind's successes in harnessing the elements to make our lives easier, the same human frailties often led to our undoing (and ditto for Heinlein who had a knack of reflecting society and culture of today in stories about tomorrow). 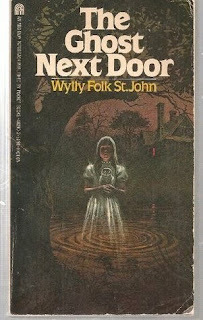 From there, it was easy to start absorbing books written more for my age at the time by geniuses such as John Christopher, John Gordon and John Wyndham (must be something about the name "John" that instantly makes you an expert at writing tight and sometimes horrific sci fi dystopia stories that grip you from the front cover to the back) and of course discovering the scintillating future worlds in comics like 2000AD and Starlord (amongst many many others). Kids are OK for science fiction comics, as we've already mentioned. We've shouted long and loud about the fantastic Phoenix Comic, which does not shy away from mature and gripping science fiction stories (Troy Trailblazer is just one example of a science fiction story that doesn't treat its intended audience like dumb actioneers, it deals with some pretty astonishingly mature concepts for a children's comic story - almost hard-fi for kids). I guess the point I'm trying to make is that for younger children, science fiction is a relatively unexplored frontier. There are some books - but they're usually fairly low impact (though Jonny Duddle's sublime "King of Space" is a notable exception and the perfect example of a children's picture book with sci fi themes that works absolutely perfectly on a number of levels - we love it!) It would be fantastic to see less "Johnny and the Rocket to the moon" type stuff where the science fiction backdrop is incidental (and quite often interchangeable). Simon Pegg's interview rant may have been taken the wrong way by a number of folk, and his retraction felt like it could've been a lot shorter (A simple sentence like "I made a huge generalisation, and I'm sorry, Science Fiction and Fantasy ROCK and SO WHAT if it keeps us thinking young!) but the sting for me was hearing science fiction described as childish when kids seem to get the raw end of the deal when it comes to stories from the future that aren't branded in some way. "Azzi In Between" is the story of a young girl (Azzi) who at first seems to live a fairly ordinary and happy life. But her country is gripped by war. Soldiers march outside her house, helicopter gunships cruise overhead and though Azzi's life continues fairly normally, one night her father receives a phone call that will change the whole family's life forever. Quickly bundling Azzi and her mother into the family car, but painfully and sadly leaving Grandma behind to look after the house, her father embarks on a perilous journey to try and catch one of the last refugee ships leaving for a new country. With Azzi hidden under her grandma's blanket, they make their way past roadside checkpoints, and soon have to join the chaotic struggle to find a place on the boat before it leaves. They make it by the skin of their teeth, destined for the unknown. Azzi's new country is different, the family find a new place to live but it's uncomfortable and shabby. Azzi's father won't be allowed to work to earn the money they need, so the family face lean times. Thankfully Azzi manages to enrol at a new school, but wonders how she'll fit in when she has nothing in common with her classmates and can't even speak their language. Azzi's story is simply told but its impact is colossal, particularly for its chosen audience who (like Charlotte) may not be much younger or older than Azzi but also may never have known the fear and the hardship that many refugee children will know during their early lives. From an adult perspective, the terrifying prospect of being displaced from your home and country by war is something that is largely lost on folk who live a comfortable and safe existence. Charlotte was (quite rightly) gripped by "Azzi In Between" from start to finish. I won't give away the end of the story but to have your child come running up to you when you come home from work to tell you (joyfully) how much they loved a book is rewarding and fulfilling, but having your child want to discuss the story's meaning and what happens to all the other children like Azzi is vital and important and equally fulfilling too. 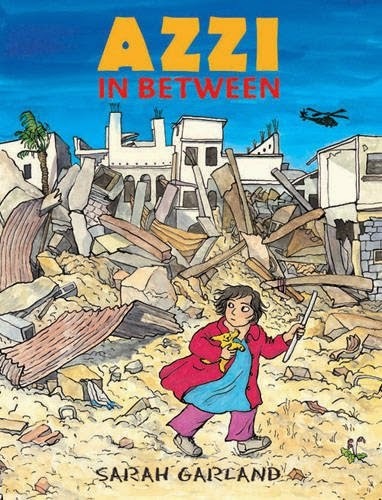 "Azzi in between" has deservedly won a ton of awards and humbly we add it to our roster of hugely important books that have made a gigantic impact on us during the course of writing this blog. It should be on every shelf in every children's home or in every school or local library. This fun-packed and excellent activity book is all about one of our favourite destinations! The big smoke, the capital of capitals, London! We often visit as it's not too far away from us, but oh for something interesting to do on the long coach / train journey! 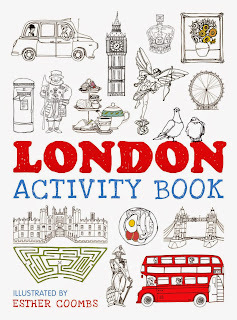 Having "The London Activity Book" to dip into, armed with colouring pencils and pens, there's a ton of things to do for busy and inquisitive kids. Colour in some of the capital's most famous landmarks from the Tower of London to "The Gherkin", and engage in brilliant mind-bending activities like escaping the twisty turny confines of the Hampton Court maze. There are 22 activities in all, and the book is nicely chunky enough that little ones can rest it on their lap and doodle away to their hearts content. 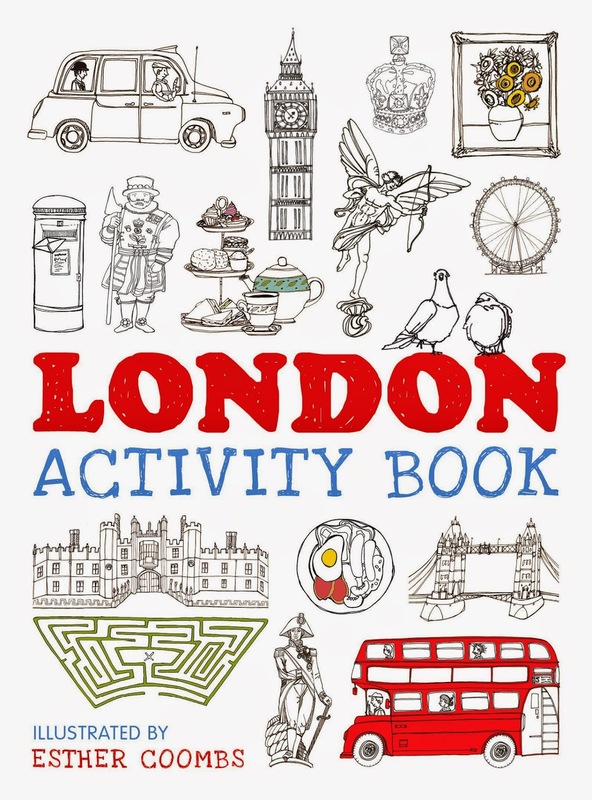 "The London Activity Book" by Esther Coombs is out now from Button Publishing. Daddy's Favourite bit: A brilliant set of fun activities, perfect for a day trip to the capital! How trends move quickly! It seems like only yesterday that the world was obsessed with tiny little circles of elastic in all the colours of the rainbow. Loom Bands seem to have fallen out of favour of late, but we still love making things with them from time to time. But what can we move on to if we want a slightly "knottier" challenge. 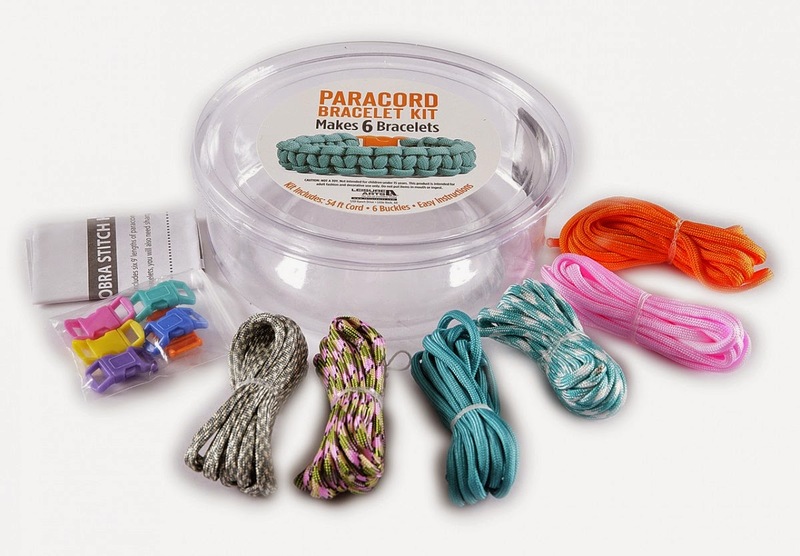 Paracord kits aren't that new, they've been around a while now but Leisure Arts are producing handy tub-sized starter kits to introduce you to a whole new obsession - making Paracord bracelets and other accessories. Paracord is an immensely strong bonded cord that is used in parachute cords (hence the name!). Its strength and flexibility means that it's suitable for all manner of crafting projects. The "Bright Paracord Kit" from Leisure Arts features lots of interesting cord designs and colours, that can be used singly or in conjunction with each other to make all sorts of designs. You can get some inspiration for your own maker projects from the package itself, or dive onto your computer or tablet and check out http://www.paracord-projects.info, a great site with a huge range of 5500 projects from the very very simple up to the extremely complex. Deft and strong fingers are required and with a little adult help, Charlotte was soon weaving her first bracelet. You don't have to stop there though, you can make a range of items like phone cases and models - once you've learned a few basic knots, you'll be completely addicted. Paracord kits are reasonably priced so hunt around for the best bargains! Way back in 2012 we took a look at the third "Emily Brown" book and I think we'd been a bit burned out on borrowing both "Emily Brown and the Thing" and "That Rabbit Belongs to Emily Brown". We gave it 3 out of 5 stars and said that the idea was wearing a little thin. What meanies. 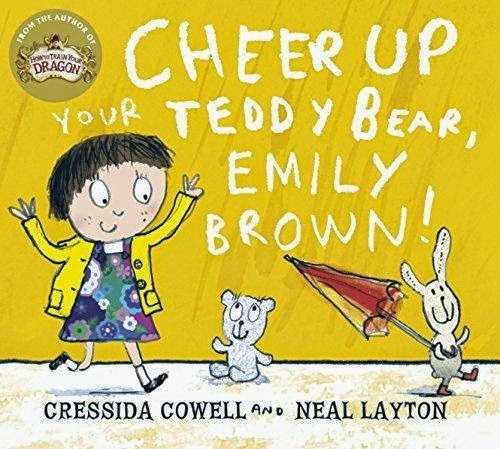 Now the Emily Brown books have been re-released by Hodder, it's the perfect opportunity to take a look at them all once again, to see if 7 year old Charlotte loves them as much as 4 year old Charlotte did. In "Cheer up your teddy bear, Emily Brown" we meet the world's weepiest bear. Emily Brown and Stanley are pitching a tent in the Australian Outback one day, when they hear a faint 'plip plop' noise coming from the toybox. It's the sound of teddy tears, and a lonely little teddy bear who plaintively sings a little song of woe. 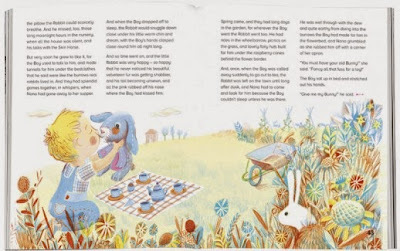 Emily Brown and Stanley decide to take the little teddy on their adventure, but not even the prospect of bouncing with kangaroos or making friends with emus can cheer the poor thing up. They fare no better in Yellowstone Park despite the presence of brown bears, grizzly bears and cuddly little baby bears. Teddy just can't be consoled! What's worse is that the teddy's morose mood is rubbing off on the usually effervescent Emily Brown and Stanley! NOOOOOOO! Is there nothing that can cheer the poor little soul up? We got into a deep discussion about this book. We love the first two, we haven't yet 'met' "Emily Brown and the Elephant Emergency" (which has also been re-released, hooray!) but it's that teddy, that poor little sad little teddy bear who we really can't seem to 'gel' with. Emily Brown and Stanley really try their best to befriend the little bear but she's inconsolable until other teddies turn up. One of the delights of re-reviewing this was getting Charlotte to read it to me (whereas last time we read it, it was the other way around). She's slowly learning how to read stories with gusto and great characterisation, so it was actually a genuine delight to hear her giving the sad little teddy a squeaky heartbroken voice as she 'sang' the little teddy song with each bit of repetition. As ever, tight writing and a nice little heartfelt message helps bring the story up a few notches thanks to Cressida Cowell's enviable writing expertise, and we still can't get enough of Neal Layton's art style, scribbly and chaotic but infinitely attractive and perfectly fitting for the Emily Brown tales. Charlotte rather loved the fact that she thought the Gold Bear (From "That Rabbit belongs to Emily Brown") made a cameo appearance at the end of the tale, and I'm sure we spotted Pooh Bear too! Charlotte's best bit: The perfect teddy bear's picnic! 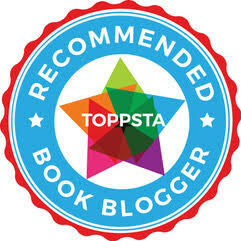 Daddy's Favourite bit: The Emily Brown books are deservedly described as modern classics. This isn't our fave but it's still an entertaining read, and your tinies will love the excuse to dig out their teddies and recreate the closing scenes themselves! We love finding books we've never seen before when we visit our awesome local library. 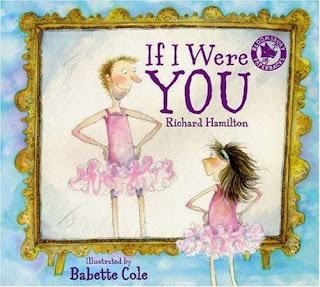 Nestling amongst the stacks, Charlotte quickly grabbed this book by Richard Hamilton and Babette Cole - mostly because she is completely in love with Babette Cole's work and couldn't wait to find out more about a book featuring a tutu-wearing dad, and a rather cheeky little girl. Richard Hamilton's rhyming life-swap story, illustrated in Babette's glorious trademark inky washy style, is really right up our alley. 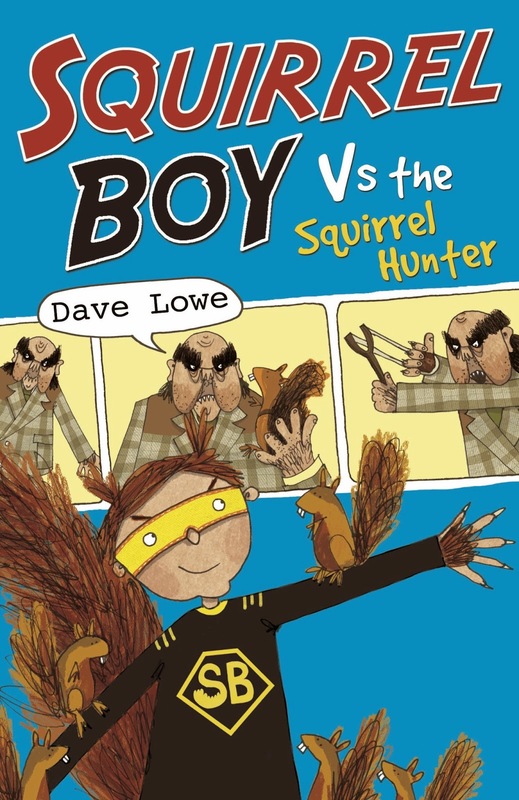 A dad and daughter book with a difference, with a daft dad (like me) and a cheeky daughter (like Charlotte) imagining what it would be like to swap places for the day. The good (like being able to bounce on beds or stay up way past bed time), the bad (like having to do housework or eat what you're told to) and the downright ugly (have you ever seen a 47-year old trying to squeeze into a baby buggy when it's walkies time? While wearing a leotard and tutu? It's not a pretty sight!) are all described in this lilting and lyrical tale that made us very very glad we are who we are and don't ever, never, EVER swap roles. That said, I can definitely see the appeal of bouncing on beds wearing tutus. Yes indeed! "Zephyr Takes Flight" by Steve Light. More like this please! Remember that fun time we talked about the children's story types and tropes that need a long summer holiday? We thought it would be fun to flip the coin. You see we don't want to give you the idea that we're all sad and grumpy about children's stories, quite the opposite - and it was great to hear from folk who read our last article and (quite politely) disagreed with us on some of the story types listed. So with that, we promised to do a list of ten children's picture book story types that we'd dearly love to see more of. 1) "Mighty girl" stories that work for both girls AND boys. We love stories that feature mighty girls, but creating a female hero that works for both boys and girls is a neat trick if you can pull it off. It's an even neater trick if you can make the hero of your story (whether male or female) appealing to both girls and boys without having to wade in with wellies on to create "strong female characters" or "boys who are in touch with their sensitive and emotional side". Some children's stories have woven sheer magic with characters who aren't specifically designed to push the point at all. Take Luke Pearson's utterly awesome "Hilda" - She's a girl, she's mighty, she has the most incredible adventures but boys and girls can enjoy her stories equally (and 47 year old grown ups also rather like them too!) See also the utterly brilliant "Zephyr Takes Flight" by Steve Light, which is another book with a female central character that we often mention whenever discussions of awesome female-led books crops up on Twitter. We also couldn't let this point pass without mentioning "Pirates of Pangaea" - a fabulous comic strip that runs in The Phoenix Comic, adored by girls and boys alike and with an utterly brilliant girl protagonist right in the thick of the action. Thankfully these are slowly becoming more and more commonplace as western tastes wake up to the fact that some of the most incredible myths and legends, traditional folk tales and children's stories from across the globe will work equally well for our imaginative and story-hungry kids. We have seen something of a renaissance in recent years with fabulous tales being translated and respun by glorious publishers like Tara Books and Gecko press. There's always room for more though, so keep 'em coming! These were brilliant and creepy. Perhaps in an age where children have become desensitised to dark stuff, they'd feel a little twee now but with recent brilliance by the likes of Jonathan Stroud (The Lockwood and Co Books), there's room for a few more supernatural books on our shelves. Similar to the plea for more ghost tales, I'd love to see more sci fi for kids (particularly young kids). We're fairly well served for brilliant comics (again a huge nod to The Phoenix for producing some of the best sci fi heroes in recent kid comic history) but we very rarely see children's picture books that swap dragons, wizards and princesses for spaceships, robots and space heroes. Would particularly love to see kids books brave enough to set out their table with a futuristic (non dystopian) setting too! This is again a thankfully rising trend in children's stories. Diverse and inclusive books, with characters from all walks of life, every creed, every colour and every ability, represented in children's books. Our children can learn from stories where diversity and inclusivity become the norm rather than the exception, and can more readily identify with stories featuring kids they're likely to encounter during their own lives. All children deserve to be represented in stories that are meant for them and brilliant organisations like The Letterbox Library are leading the charge ensuring that kids can always find themselves in a story when they find their nose in a book. 6) A dose of the surreal. Sometimes it feels like children's stories play it relatively safe. Are kids now immune to nonsense? Are books that are a little on the 'surreal' side a bit too 'out there' for modern kids who increasingly find it difficult to suspend their disbelief when jumping into a new story? We miss surreal kids books, and harking again back to my childhood when crazy characters like Barbapapa and Ludvig were some of the milder examples of children's characters who were really off the wall and fresh-feeling, there's a trick missing and a distinct trend to avoid slightly trippy and weird characters and stories. We love them though, and we particularly adore nonsense poetry! 7) Books that break the rules. Having fallen down several deep holes when working on my own stories and book ideas, I can safely say that the dizzying rules and requirements for children's books can feel a little offputting. Books driven by ancillary requirements for page counts, formats and layouts to adhere to fairly rigid frameworks can surely only ever feel 'samey' so we love it when it's obvious that certain books have broken those rules. Longer stories for children that may need more than one bedtime reading to polish them off, but don't go over the top length wise. Stories that use a double page spread to great effect, disposing of the usual text and picture mix for something that still maintains a story flow but feels like it's kicked free of the page. After all, if "The Book with No Pictures" by B.J Novak can prove the point that books for young children can break a lot of rules but are still riotously entertaining, there must be room for many more books along similar lines that take the rule book and tear it up with their teeth. This is a tough one to describe, but you may well understand what we mean without a deep description or a ton of examples. Those books that wrap you up in the story to such an extent that you truly feel like you're part of the cast. We're not merely referring to 'name' books here (though there are some utterly fantastic examples of these now available - see "The Girl / The Boy who lost her / his name" for instance) but books that involve the reader as much more than a mouthpiece are something we'd really love to see more of. Imagine children's stories that are designed for more than just cuddling up at bedtime to read, but stories that send readers on a (real world) quest, encourage 'acting out' of scenes and characters. For example, we love the fact that "We're going on a Bear Hunt" works wonderfully as a performance piece as you act out all the different parts of the book where you need to clamber across the squelchy squirchy mud or whistle through the swishy swashy grass. Now do you know what we're getting at? This is something that I have a bit of a bee in my bonnet about. Children's stories are often geared around turning a shy retiring wallflower into a crazed chaotic effervescent bundle of energy, but is introversion really that bad? As a self-confessed introvert there are always going to be times when I'd love to conquer my shyness and Charlotte must feel the same (believe me, we've been through the mill quite a few times when Charlotte's shyness stops her doing things we know she'd really love to). Only one or two books have successfully dealt with this hugely sensitive subject in a way that struck a chord, and actually put across the message that "Hey, it's OK to be shy, quiet, reflective" - We would so dearly love to see more and really welcome stories where the shy kid doesn't need to become like a reject from an X-Factor tryout to somehow win the day. We never tire of reading children's stories that not only celebrate the joy of reading (it goes without saying that there are many, many books that extol the virtues of learning to read and the worlds you'll discover) but there's a vast untapped market for books about books and bookish folk. It struck me when we were reading and were thoroughly engrossed in Martin Salisbury's utterly wonderful "100 Great Children's Picture Books" that we really don't see enough books like that and we very very rarely see books designed for children that could act as a taster for more wonderful book and story discoveries. Similarly, now that children's authors and artists are so hugely celebrated and well recognised by kids, how about a range of books where children could read about and find out more about their book heroes. A "Desert Island Books" range? Biographies of authors and artists designed for a young audience? Idea! So there you have it, more book and story types that whet our whistle and there are probably squillions more you could add - if you've got any really good ones, please do drop a comment in the section below, we'd love to hear about them! New Emma Yarlett books are always greeted with a huge ripple of excitement here at ReadItDaddy Towers, and when we first heard about "Poppy Pickle" - a little girl with a HUGE imagination, we couldn't wait to meet her. Charlotte immediately identified and fell in love with Poppy, an extraordinary little girl in a fairly ordinary family with an ordinary mum, ordinary dad and three ordinary (and hugely cute!) cats. Whereas most people's imagination levels teeter and totter around toe level, Poppy is filled up to the very BRIM with imagination. She daydreams of wild and crazy things and one day after being sent to her room for letting her exuberance get the better of her, something astonishing happens. Poppy's imagination comes to life!! All the things she thinks about pop instantly into existence, and at first this seems like the most amazing and incredibly brilliant thing ever. But when Poppy starts to imagine things like girl eating crocodiles or gigantic hot dogs, the situation soon gets out of hand. With Mum and Dad stomping up the stairs to find out what all the fuss is about, can Poppy somehow imagine all those imagined objects away? A giant eraser doesn't help, and mum and dad are at the door, EEEEEK! 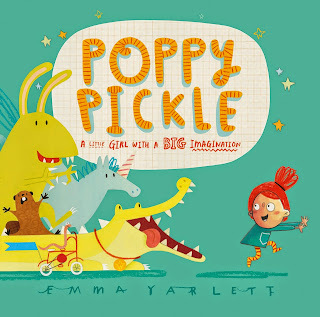 Daddy's Favourite bit: Emma's imagination is as brilliant as Poppy's. Truly gorgeous illustrations that give Oliver Jeffers a run for his money, brilliant storytelling but best of all a truly inspirational mighty girl hero for little girls like mine to look up to! Awesome! Hugely exciting news for fellow Science buffs! The Royal Society has today announced the six inspiring science books that make up this year’s Young People’s Books Prize shortlist. Publishers across the UK have submitted their best recent science books for young people to the 2015 Royal Society Young People’s Book Prize and now an expert adult judging panel has narrowed them down to six carefully selected books. The winning book will now be selected entirely by groups of young people from over 100 schools and youth groups across the UK. These groups will judge all the shortlisted books and choose the final winner. The winner will be announced in November 2015. The hugely important Life and Deaf Children's Deafness Charity gathered together a children's workshop with deaf children and ex-children's laureate and superstar author Julia Donaldson to collaborate on this fantastic story book. 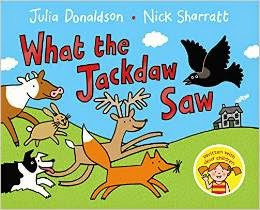 "What the Jackdaw Saw" written with help from deaf children, and illustrated by Nick Sharratt, is a brilliant book that introduces sign language along with a story that really piques a child's curiosity. Jackdaw has decided to throw a party, and as he flies around town and country, he spies all his friends going about their daily business. "Come to my party!" shouts Jackdaw, but instead of replying, other animals look at Jackdaw and touch their heads. What on earth is going on? Again and again Jackdaw meets animals doing the same strange thing. As we bounce along to Julia's perfect rhymes, it was brilliant to see Charlotte really trying to puzzle out what was happening. "Why ARE the animals doing that, Daddy?" she kept asking. I wouldn't reveal anything until the end, when a frustrated and flustered Jackdaw encounters the very reason why all the animals are looking alarmed and touching their heads. We'll let you find out the answer yourselves because we don't want to spoil the surprise! Once children have finished the story (and have demanded it read again and again, mark my words!) they can have a lot of fun practicing their sign language just like the animals in the story and learning new ways to communicate with children with hearing problems. Julia Donaldson (herself a sufferer with hearing loss) has pulled out all the stops to produce a thoroughly engaging, thrilling and somewhat mysterious story here that is complimented by brilliant illustrations showing us exactly how to 'sign' some of the things we'll find in the book. Tune into Storytime Magazine's utterly fabulous May issue - Out now! 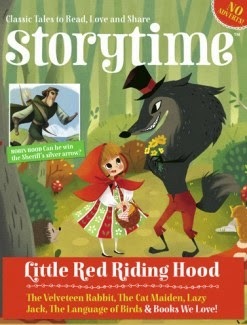 Storytime Magazine is so utterly brilliant, and the May issue is out right now! 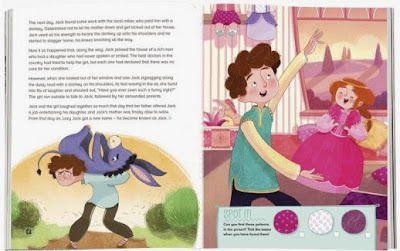 For those of you who've yet to discover this amazing story-filled children's magazine with NO ADS just tons and tons of awesome content, dive on over to the Storytime Website for more details. Oooh and don't miss the very last page because...well, hello there! We're so happy to see Storytime Magazine going from strength to strength. Don't miss the May issue, it really is superb! I almost cackled out loud when I first heard that a third "Ten Little" book from Mike and Simon was on the way. Mainly because if there's anything close to a three-headed "Children's Book Trope", it'd be a beast wearing the head of a pirate, a princess and a dinosaur. So logically "Ten Little Dinosaurs" stomps along, hot on the heels of "Ten Little Pirates" and "Ten Little Princesses" and we really, really couldn't be happier. Why? Well these books are utterly and completely brilliant for starters. Mike produces the most pitch-perfect rhymes, while Simon draws up a storm with hilarious, chaotic and hugely funny illustrations to compliment Mike's words. 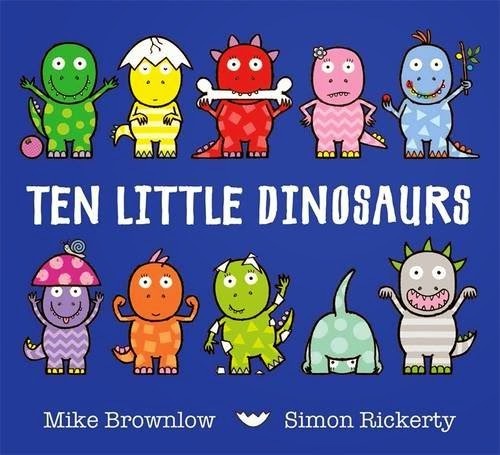 We first join our ten little lizardy characters as they're nestling with their big fat dino mummy. But busy little dinosaurs don't stay put for long, so they set off on a grand quest to explore their world. The prehistoric world is fraught with danger though and it's not long before we're counting down, just as we did with the other books, as each of the little dinosaurs succumbs to a different fate. Snatched by a Pterosaur? Swooshed by an Ankylosaurus? Charged by our favourite - the Triceratops. This is no life for a cute and cuddly colourful little dinosaur. Will they live happily ever after? It's a work of genius. 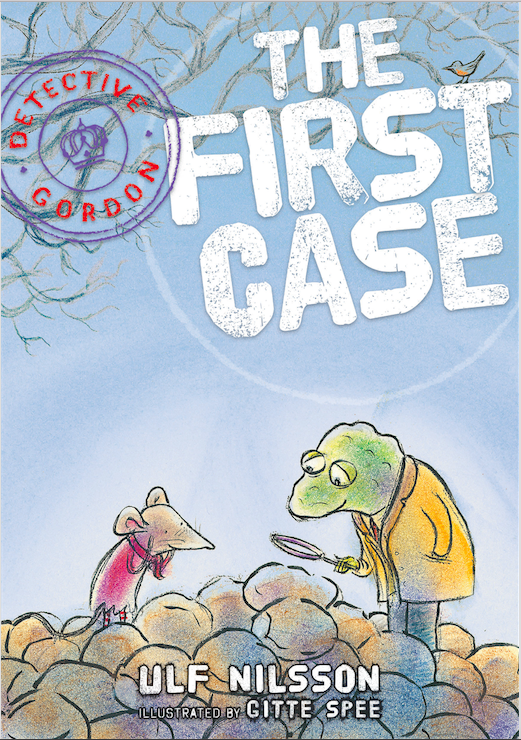 Part counting book, part dino-info book, part comedic knockabout rib-tickling story but completely funny and brilliant. We're very rarely won over by books that carry the same theme through three successive titles but "Ten Little Dinosaurs" pulls off the hat trick with aplomb and is as fantastic as its predecessors. Just watch out for that squishy dino poo! Ew! Daddy's Favourite bit: It's another "Ten Little" triumph for Mike and Simon. We're having a private bet with ourselves on the next ten things that will crop up courtesy of Mike and Simon! 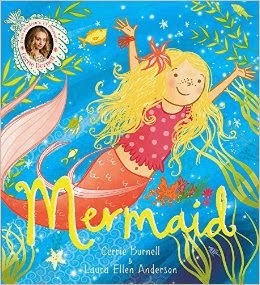 Cerrie Burnell may well be known for her awesome TV work but she's also a bit of an awesome children's author as well. Her last children's book "Snowflakes" was a brilliant and inclusive book full of seasonal joy and wonder. Teaming up with Laura Ellen Anderson once again, Cerrie and Laura's latest book "Mermaid" traces the story of a young boy named Luka who lives by the sea. He longs to swim but doesn't know how to, his family are a bit apprehensive about him learning to swim too but the boy is determined that one day he'll dive and paddle along with the best of them. When out walking along the beach one day, Luka sees a young girl diving and splashing amongst the waves. Luka soon finds out that the girl's name is Sylvia and very kindly she offers to help Luka learn to swim. Luka also finds out that Sylvia is a new girl at his school so he helps her fit in, telling everyone about her amazing swimming abilities. Children want to know why Sylvia is in a wheelchair, and Luka points out that it's because she's actually a mermaid! How cool is that? Writing a fabulous inclusive story that taps into a child's sense of wonder and simultaneously relates a tale that helps children deal with their own inner fears and also a child's natural curiosity about children who are different from themselves is a heck of a neat trick, achieved brilliantly here thanks to Cerrie's thoughtful storytelling and Laura's dazzling and sparkly illustrations. Though Charlotte claims to be "over the whole princess thing" she still has a gigantic soft spot for mermaids, and it's really wonderful to find a hugely original story that helps with Charlotte's own fears of learning and trying new things too. Charlotte's best bit: Luka introducing Sylvia to all his curious and inquisitive classmates at school. Daddy's Favourite bit: A hugely positive and joyous book from a very talented twosome! 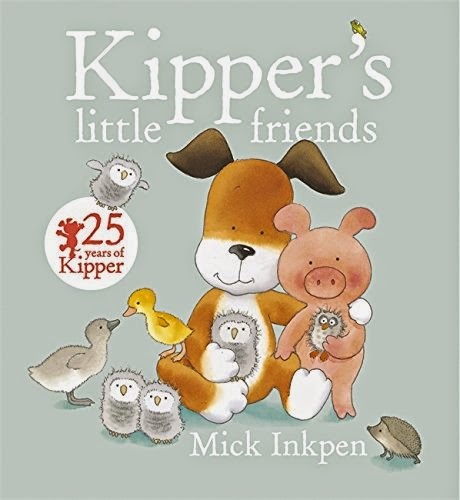 Wow, did you know that young Kipper has been around for 25 years? That's a pretty respectable age for a busy little dog isn't it? The Kipper stories by Mick Inkpen are timeless and classic and in "Kipper's Little Friends" the young pooch is finding out all about baby animals along with his friend Arthur the Pig. They find out that a baby pig is a piglet, a baby owl (like Arthur's new toy) is called an Owlet. So what's a baby duck called? (Clue: Not a ducklet!) A baby frog? Come to mention it, what is a baby dog called? A great little story for younger readers. Charlotte's best bit: When naughty Arthur tries to see if his baby owl can swim. Poor baby owl looks VERY sorry for himself when he's fished out of the pond! Today, 8th May 2015, marks the 70th Anniversary of V.E (Victory in Europe) day. We've been taking a look at some of the fantastic books in Usborne's World War 2 range including a fantastic illustrated history of the war, produced in association with the Imperial War Museums. "The Story of the Second World War" by Paul Dowswell and Ian McNee actually takes us right back in history to the end of the First World War, as nations gathered together to sign The Treaty of Versailles. Events of the 1920s and 1930s are examined, as we gain a detailed insight into how political unrest, economic collapse and ultimately the breaking of that treaty by Germany and other Axis nations led the world towards a terrible and unimaginable conflict. It's actually extremely tough to get the balance right with books for a young audience when you're dealing with a subject like the second world war, and the atrocities committed in the name of nationalism and fascism as Hitler's Nazi Party and Mussolini's Italian Fascist Movement began to seize power and put their war machines into motion. It's testament to this fantastic book that each page spread explains events and covers the historical figures involved in a huge amount of detail without talking down to children, nor unduly distressing them. Charlotte was particularly impressed by the page spread detailing the brave women of the war who not only stayed behind to keep our industries and farming running, but also fought bravely in the war itself, including Lilya Litvyak, an incredible Russian female fighter pilot who shot down over a dozen enemy aircraft before succumbing to enemy fire herself in her final mission. With a mix of superb illustrations and photographs, this is a hugely impressive book that we both read through together and were thoroughly absorbed by. Usborne's "Sticker Dressing" range also covers the Second World War with another brilliantly illustrated and fascinating fact-filled book detailing the uniforms and fashions of the Second World War. 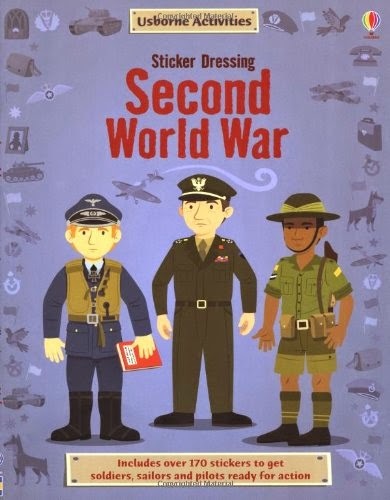 "Sticker Dressing Second World War" by Lisa Jane Gillespie and Emi Ordas is another hugely impressive book that children can get their teeth into, learning more about the war as they put together the various uniforms and scenes within. We spent some time with this title a while ago, with over 170 stickers to stick down covering services on land, air and sea on both sides, it's another brill addition to the sticker dressing range. 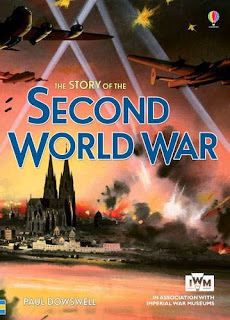 You can check out some of Usborne's other fantastic Second World War titles in our previous post marking the 70th Anniversary of D-Day - and you can find out even more about the extensive Usborne Second World War range on their website. It's another week where we really couldn't decide between two fabulous books for our Book of the Week slot. As we utterly adored "Rosie Revere - Engineer", we couldn't wait to follow it by gorging ourselves on more greatness from this talented duo. 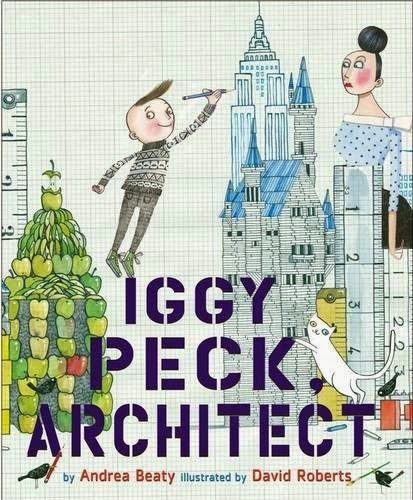 Andrea Beaty and David Roberts are a book match made in heaven - with Andrea's awesome rhyming skills and David's eye for fantastic and thoroughly brilliant illustrations, how could we possibly resist "Iggy Peck - Architect". Iggy spends all his time drawing and designing, scribbling and constructing as his proud parents realise they've got an immensely talented architect in the family. Alas for poor Iggy, his teacher doesn't quite share his enthusiasm. 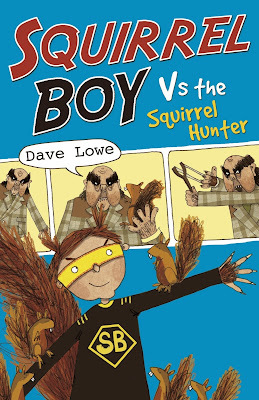 Can she be won round when a school nature trip turns into an abject disaster? Can Iggy's quick thinking and construction skills save the day? 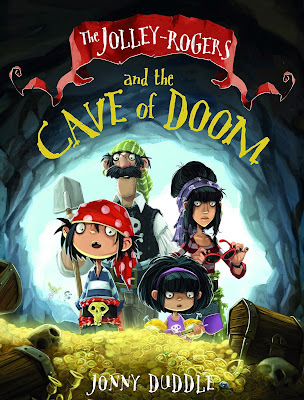 We adored every morsel of this, just as much as we loved Rosie Revere, Engineer (It was rather nice to see her cropping up in Iggy's class, and vice versa btw!). 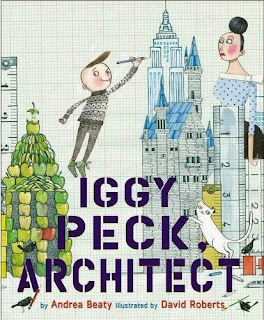 If you've a hankering to build sky-high, follow Iggy's wonderful example in this awesome story. Charlotte's best bit: Iggy's incredible pongy tower of pee-peed nappies! Stay downwind of that one! Daddy's Favourite bit: Such a brilliant book, utterly devoured by us and one that we're sure to read and re-read again and again. Now we need to catch up with Madame Chapeau to complete the set!